According to WordNet, a database of English compiled by Princeton University, a pendulum is a weight or other object mounted so that it can swing freely under gravity's influence. The weight is most commonly mounted on a string or cord and suspended from a pivot. 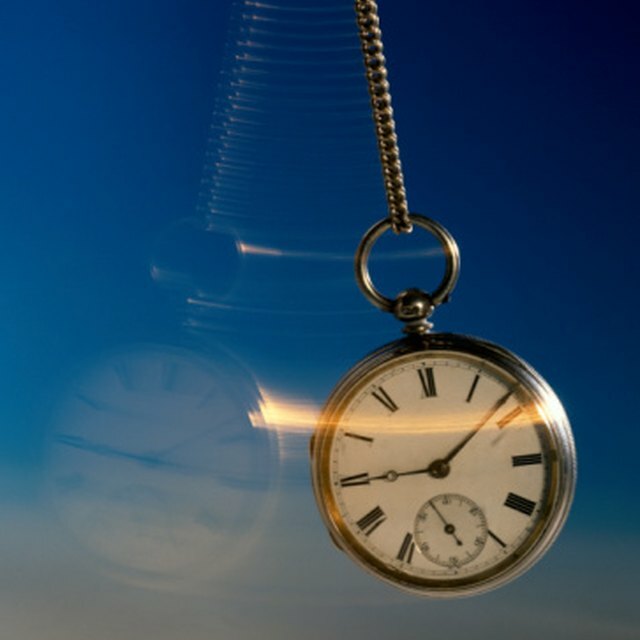 Pendulums regulate some clocks and are in some types of scientific instruments and in divination. A simple pendulum is composed of a weight, or bob, hanging freely from the end of a string or bar. Gravity pulls the bob in a downward arc, causing it to swing. This type of pendulum is the most common and can be seen in clocks, metronomes and seismometers.Pendulums are subject to the local forces of gravity and do not operate the same way in different parts of the world. For instance, since the earth is not a true sphere, pendulum clocks are slightly slower near the equator than near the poles. A Foucault pendulum is a type of simple pendulum that swings in two dimensions. This pendulum was first developed by Jean Bernard Leon Foucault in 1851 and demonstrated the rotation of the earth. Once the Foucault pendulum is set in motion, its swing will tend to rotate clockwise in a circle over the course of about a day and a half. Foucault's pendulum was the first demonstration of the rotation of the Earth that did not require astronomical observation. A double pendulum consists of two simple pendulums, one suspended from the other. It is also called a chaotic pendulum, since its motions become more chaotic the larger they are. According to My Physics Lab, a double pendulum acts similar to a simple pendulum for small motions but becomes less predictable as the motions increase in size. The motion of the first pendulum tends to throw the second one in unexpected ways. Double pendulums are used primarily in mathematical simulations. Why Does a Pendulum Swing? What Are the Parts of a Pendulum? Palmer, G.D.. "Different Types of Pendulums." Sciencing, https://sciencing.com/different-types-pendulums-6967711.html. 13 March 2018.